The peace and love generation suddenly turns violent. 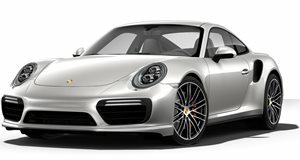 As an offshoot of the spawn of Ferdinand Porsche’s reimagination of the Volkswagen Beetle, the 911 has always had close ties to some of the most iconic VW vehicles. This includes the Volkswagen Bus, and despite the countless design and engineering differences between the two cars, both have engines placed at the rear. With Porsche’s powerplants acclimated to their air-starved placement at the stern of the 911, it only makes sense that the engine would work in a rear-engine VW Bus. Now we love sleepers, but one that’s wrapped in the metal of a peace and love era Volkswagen bus has a special kind of appeal to it. It’s akin to Mother Teresa sleeping with a .44 Magnum under her pillow at night, so wrong but at the same time so right. Instead of a gunpowder surprise hiding under the saintly Nobel Peace Prize winner, this VW Bus houses the turbocharged and air cooled 3.6-liter flat-six engine out of the 993 Porsche 911 Turbo S. Here it makes a healthy 530 horsepower, enough to surprise just about anything that pulls up to the love mobile. It's a true surprise to many challengers since the racing hardware is housed within the confines of the body panels. Unfortunately, the van's sleeper status is lost as soon as the engine turns over because there is no mistaking the deep rumble for something an environment-lover would drive.